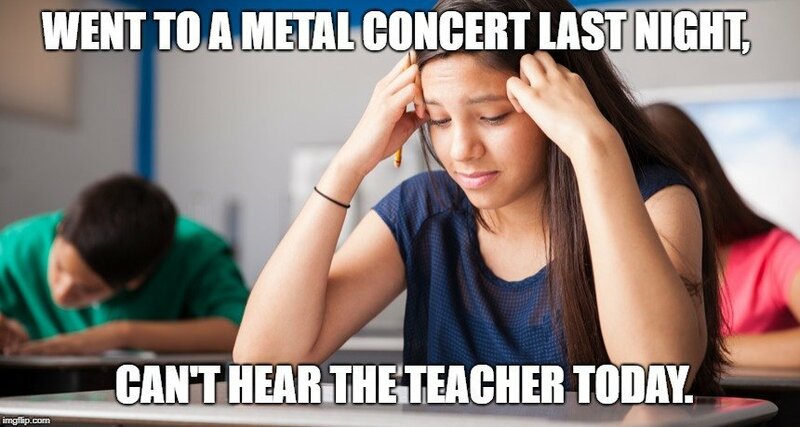 When a firetruck blares past us on the street, or if we get jostled to the spot directly in front of the speakers at a concert, the noise is not only annoyingly loud, but can also damage our hearing. We instinctively avoid situations like this, as they are uncomfortable and potentially painful, but what about sounds we can’t hear? In the same way that our eyes are only able to see light in certain wavelengths (visible light), our ears similarly have a range within which we can hear. Outside of that range, it becomes much harder to determine if something is dangerous to hear. Before we dive too deeply into the possible risks of exposure to sounds outside our accepted range, we should take a quick look at our ears in a bit more detail. When we are exposed to a sound in the range we can detect, which is 20Hz-20,000 Hz, those sound waves pass into our ear canal and strike our eardrum, which will then pass those vibrations to tiny bones of the middle ear, and then into the cochlea (the inner ear structure). Here, those vibrations are picked up by thousands of tiny, specialized hair-like structures that can transfer the vibrations to chemical signals, and then communicate those signals to the brain, which generates the pleasure of sound! Now, while this is a perpetual and nearly instantaneous transaction between stimuli and reaction, it is incredibly complex and the necessary parts of the ear are very delicate. Those small and sensitive hairs can be damaged while listening to sounds that are too loud or too high-pitched. The hairs are “tuned” to different frequencies, covering the entire range of frequencies that we can hear. If those small hairs are bent or broken, they will not grow back, which means that your range may shrink. The hairs for detecting the highest frequencies are particularly delicate, and are most prone to damage, which is why some people are unable to hear higher-pitched sounds. As more of these hairs become bent, damaged or broken, they will require a greater stimuli to respond to sound (i.e., you will need to crank the volume up even higher). Furthermore, as you age, your ear hair sensitivity (if you will) diminishes, making it harder to hear both the lowest and highest edges of the audible spectrum. 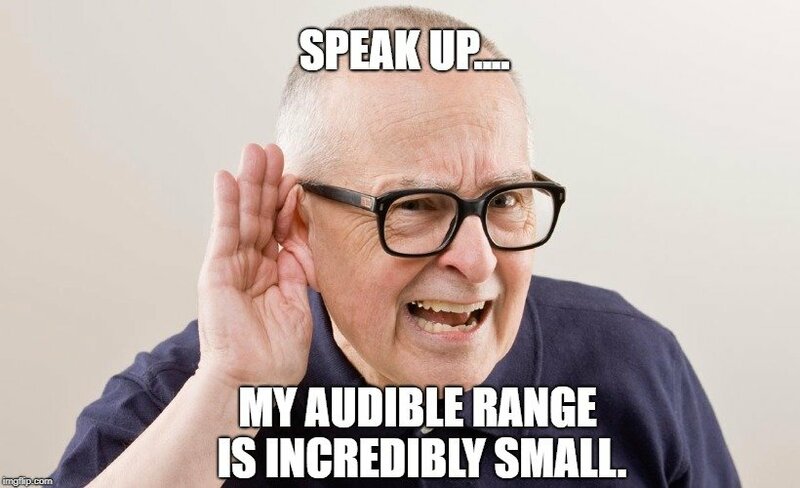 Although the general claim that the hearing range for humans is 20-20,000 Hz, by young adulthood, that range has realistically shrunk to 150-10,000 Hz. What many people don’t realize is that when those hair cells in the cochlea are traumatized or damaged, they will release the radical oxides they have been storing within themselves. These radical oxides will then have immediate access to other cells in the vicinity, which they can eat away at, causing far more damage than the initial aural trauma from loud or high-frequency sounds. This free radical oxide ototoxicity will continue for days, resulting in ongoing damage, before your body can clear the oxides. A good means of preventing this is to increase the concentration of radical scavengers in your system, such as by taking an antioxidant supplement like d-methionine or betaine. Extremely loud noises or extended periods of exposure to the lowest and highest frequencies we can hear can cause damage, but that doesn’t answer our original question. By their very nature, sounds we can’t hear don’t have much of a purpose for humans, but there are some instances where we are exposed to sounds beyond our capacity. A jet engine produces extremely low-frequency waves that can’t be detected by humans, and the similar dull roar of a packed stadium can create waves beyond our reach. 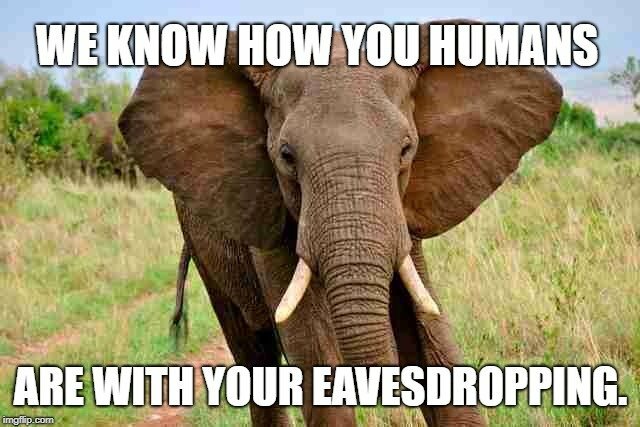 Even elephants are able to generate extremely low-frequency sounds—but at very high decibel levels—as a means of communication over long distances. Dog whistles are a tool that we’ve created in order to summon our dogs from long distances, but the human ear cannot detect the sound at such a high frequency. You can blow into that whistle as hard as you want, but you won’t be able to hear the sound being generated. Now, these “out of frequency” sounds don’t arise that often in our daily lives, but they are out there, which begs the question of their potential risk. While the research on this subject has been somewhat limited, there have been a number of studies that have turned up some surprising results. When we expose our ear to very low-frequency sounds, it can cause temporarily disrupt the normal functioning of our ear. More specifically, a German study involved placing participants in soundproof booths and exposing them to a sound at 30 Hz for approximately 90 seconds. After that, the spontaneous otoacoustic emissions of the participants’ ears were measured. For those who don’t know, spontaneous otoacoustic emissions are generated constantly by a healthy ear, although we can’t hear it. These emissions are like a small whistle, but can be picked up with a high-intensity microphone. In a normal situation, the spontaneous otoacoustic emissions (SOAEs) should be rather constant in magnitude, but other studies have shown that following exposure to extremely high-frequency or high-decibel noise can cause fluctuations in the SOAEs. In the German study, 90 seconds of exposure to a low-frequency sound resulted in the participants’ SOAEs becoming temporarily stronger or weaker, an indication that the low-frequency sound could potentially damage the cochlea. Fluctuations in SOAEs do not necessarily mean that damage is occurring, but it is a sign that the ear is vulnerable in some way. Additional studies are already planned, including those to measure the ear’s functionality directly after long exposure to low-frequency noise. The trouble with researching this area of human wellness and sensorial function is the risk it poses. As mentioned above, the high-frequency hairs in the cochlea are also the most sensitive, so pushing their limits isn’t the most viable means of study. 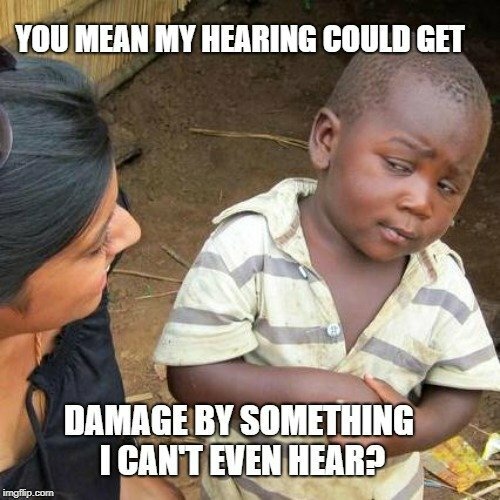 However, the tympanic membrane in the ear is believed to filter out noise that is of extremely low and high frequencies, meaning that certain “silent noises” may never even reach the cochlea, let alone damage the hair cells found there. Learning about potential damage to cochlear hair cells may require putting test subjects or study participants at risk of hearing loss or damage. While understanding these phenomena is important, academic research must be carried out in a responsible manner. Being exposed to low- and high-frequency sounds that we cannot hear is not a common occurrence, and is unlikely to pose a risk to you. However, depending on your job, hobbies or lifestyle, you may be putting yourself at risk in some way. The best thing to do is take care of your ears when it comes to sounds in the audible range, and avoid hanging around too many jet engines without proper ear-protection equipment!